"A highly accomplished advocate and adviser who is very easy to work with and puts clients at ease." "He has one of the finest analytical minds at the Competition Bar." 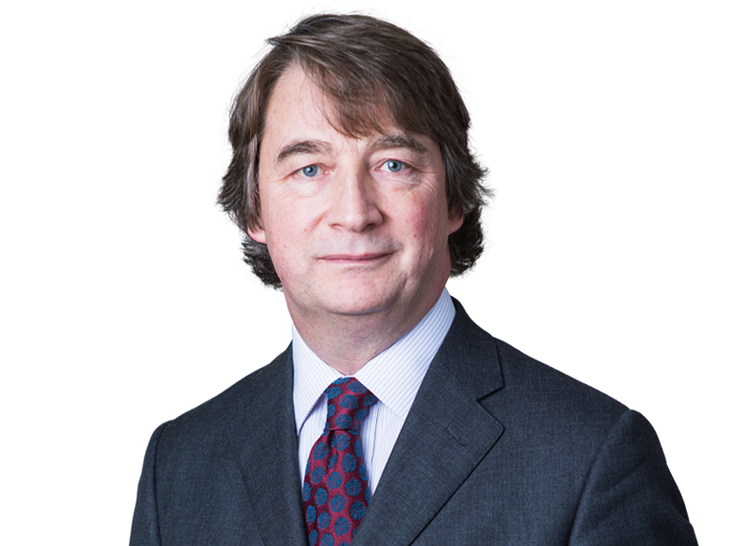 James Flynn QC is a leading competition law litigator at the London Bar. His wide experience at the Bar builds on his years of practice at a magic circle law firm in London and Brussels together with his work as a Legal Secretary at the European Court of Justice. Current high profile cases in London include acting for Sky in the long-running Pay TV litigation and for GSK in its appeal against the UK’s first pharmaceutical patent reverse settlement proceedings. James Flynn QC is a leading competition law litigator at the London Bar. His wide experience at the Bar builds on his years of practice at a magic circle law firm in London and Brussels together with his work as a Legal Secretary at the European Court of Justice. Current high profile cases in London include acting for Sky in the long-running Pay TV litigation and for GSK in its appeal against the UK’s first pharmaceutical patent reverse settlement proceedings. He has considerable expertise concerning the interface between Competition and Intellectual Property law, particularly on the licensing of standard essential patents and FRAND terms (acting for Qualcomm, IP Com and Samsung). Significant CAT appeals in recent years include acting for BMI in relation to the Private Healthcare Market Investigation; for Aer Lingus in its long-running dispute over Ryanair’s hostile shareholding; and for Asda in the successful appeals against the OFT’s Tobacco decision. His considerable experience of competition damages cases embraces follow-on (public examples include synthetic rubber and LCD screens) and standalone actions in the High Court, including acting for Inntrepreneur in Courage v Crehan, the first standalone damages case to go to full trial in the United Kingdom, and for Cardiff Bus in the first follow-on damages action to come to trial and to lead to a damages award. He also appeared in the leading cases on the interaction between criminal law and competition law. Recent appearances in competition cases in Luxembourg include cartel appeals and the interchange fees litigation. Notable previous EU cases include the leading authority on legal privilege in competition proceedings (Akzo Nobel) and the landmark Microsoft appeal. James Flynn also has considerable expertise concerning the interface between Competition and Intellectual Property law, particularly on the licensing of standard essential patents and FRAND terms (IPCom v Nokia & HTC, European Commission v Samsung) and ‘pay for delay’ in pharmaceutical patent settlements (acting for GSK in the ongoing CMA investigation). He has also appeared in the leading cases on the interaction between criminal law and competition law (R v GG plc in the House of Lords, R v Burns in the Court of Appeal). He is regularly instructed in Utilities Regulation matters in challenges to the sectoral regulators such as Ofwat, Ofgem and Ofcom. His broader EU practice covers the areas of state aid, public procurement, IP, telecommunications and broadcasting, direct and indirect taxation, free movement and professional and financial services regulation, typically arising in public law challenges in the Administrative Court with an EU law element. He was named as EU and Competition Law Silk of the Year in 2011 at the Chambers Bar Awards. European Commission v Samsung: giving an opinion to Samsung on the EC's case in respect of competition law implications of seeking injunctions to restrain the breaches of Standard Essential Patents. R -v- GG plc (Southwark Crown Court, Court of Appeal and House of Lords): criminal law and price fixing: can a cartel be prosecuted as a conspiracy to defraud? Contributions of chapters to many books including European Community Law of State Aids edited by Kelyn Bacon (2009); Competition litigation: UK Practice and Procedure by members of Brick Court Chambers; Civil Appeals (2nd ed 2013), Butterworths European Court Practice, Butterworths Expert Guide to European Union, Environmental Law in Europe (Kluwer, 1999), Practitioners' Handbook of EC Law, Application of Articles 85 and 86 in the National Courts (EC Commission, 1997), The Role and Future of the European Court of Justice (British Institute of International and Comparative law), as well as many articles on EC and competition law topics.